Stocks go up and down so does real estate prices. But real estate as an asset class is relatively less volatile when compared to equities specially in developing world like India and China. Due to huge population in India and China there is always a consumption led demand for the homes which supports the home prices from falling significantly. Buying real estate for consumption is very different from buying properties for investment. 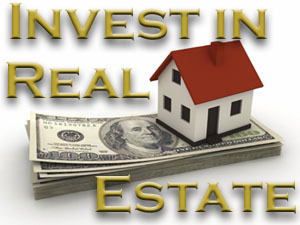 An investment property is one purchased strictly for the purpose of generating income. It’s neither your current primary residence nor a vacation home used only by your family. An investment property is usually purchased with the intention of either renting it out or renovating it to resell at a profit.